Be informed of our latest news, match fixtures and exciting updates about upcoming fixtures and tournaments. Opatija won home game agains HAŠK and well deserved 3 points. Last minute goals and ZAGOREC have taken 3 points. Furijan Mateo, Ugrina Sandro and Baltazar Bogolin Antos scored from Opatija's side. Dynamic game without goal. Both team has received one point. Opatija has created enough goal episodes but unfortunately chances have missed. Tough game for both team. 50th minute of the game Pejanović scored from Opatija. The next goal scored by Bartolić from Ponikve in 55th minute. After final whistle of referee both opponents have taken one point. Tough game but deserved victory. Opatija won and conquested 3 points thanks to Kovačević who scored at 75 min. Opatija turned the home team lead from 3 'goals of Bogolin 48', Flego 69' and Petanjek 88 ' - 11m. Opatija won the game against team from capital. Petanjek scored from Penalty. Opatija managed to take one point in an equal game with tough opponent from Zagreb. Only goal was scored by Bogolin in 32 min from penalty kick. In the derby, Opatija fully controlled the game. Dubrava came to the lead already in 1 '. Opatija crossed the field to equalize in 18 'after centered of T.Rudan. Guests keeped the control of the game, creating opportunities, achieving three more goals to the end of the game and earning points. See the best moments below. Krk couldn't beat Opatija yet playing in his own home. Despite the unfortunate fall of Matovina in the first half of the game, the Opatija players were not discouraged and managed to lead the game. Opatija deserved to lose the first match on his pitch. Opatija drove to Šapansko in 16' to score one goal. Soon Matovina in 19'won the strictest penalty that he turned into a hit. The hosts didn't manage to establish a dominance in the game, and the visitors were indecently penalized in 77 'Lerotić's goal. See the best moments below. Despite the extremely game, in which the judges didn't favor Opatija, Opatija managed to win and return to position in the top of the league 3 HNL. The hosts were entertaining throughout the game and deserved to win 3 points leading them to the middle of the table. An exciting match in which both opponents had the opportunity to score. Opatija was more precise and goals from Ugrine in 4 'and Šolić from 11m to 44' achieved the win and the points that remain at the top of the table. The best parts of the video match below. In the exciting game Opatija turned the home team lead from 3 'goals of Svetić 13' and Šolić 30'-11m and Toni Rudana 41 '. Although the hosts reduced the score, the victory and three important points were confirmed by Pejanovic in 72 '. With victory, Opatija retained the lead in Table 3 of the HNL West.In the exciting game Opatija turned the home team lead from 3 'goals of Svetić 13' and Šolić 30'-11m and Toni Rudana 41 '. Although the hosts reduced the score, the victory and three important points were confirmed by Pejanovic in 72 '. With victory, Opatija retained the lead in Table 3 of the HNL West. Tough game in which both teams had to compete for the victory in the penalty shootout coming out victorious Vinodol team. Intense match for the players of both teams. It has not been until the second time at the time when Lazić and Ugrina have taken the team from Opatija to victory. Difficult game in which both teams gave the maximum of themselves without getting mark any so much. On the other hand, the good work of the goalkeepers caused the marker to be zero. The guests opposed the attacks and the initiative of Opatija until 54 ' when Matovina used the defense of HAŠK and took Opatija to the point. Kakvačević Ivan nods a corner in 72 ' and Šolić with an excellent free kick in the 75 ' confirms the deserved victory of Opatija that takes it to the top of the table. The game wasn't easy for any of the opponents. Šolić manages to score a goal in favor of his team so Opatija is ahead with a 1:0 in the 62 minute. However, in the minute 83 Dugo Selo manages to reach its rival by marking the 1:1. After a hard duel between both rivals, finally Opatija manages to prevail on the scoreboard thanks to the goals scored by Matovina and Lazić. Highlights of the match you can see in the following video. Both a team and another did not manage to take the initiative in the game and score a goal on the scoreboard because of the good stops of the goalkeepers. On the ground, soaked water played an excellent match in which Opatija took from the justified excursion realized by Maovina. In 82 'Ugrina heads up to score, and Matovina in 89' with his second goal ends a good show of hosts. 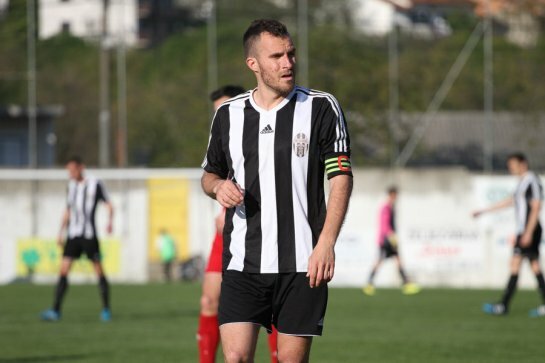 On the difficult visit to the neighboring Pazin, Opatija managed to win a point on an unlucky run and keep the connection to Vinogradar. Opatija get back to win after the stop of last week. Ivan Kovačević, Šolić and Matovina scored in large away win against Dubrava. Opatija lost the home game against Krk. The decisive goal was scored by Damiš at the end of the match. Home team in the first time miss a penalty kick. Opatija won the game at home this weekend with Alen Matovina scoring a penalty in the final of second time. Opatija won the difficult match against Vrapče. In the first time Vrapče lead for 0:1 but in the second time Opatija reverse the situation thanks to Lazić, Furijan and autogoal of Vrbat. Opatija won the game away this weekend and continue to lead the championship. Opatija won the game away this weekend. Bogolin open the match and Lucić score the second determinating goal. Opatija came back to win this week end. First goal was scored to Lucić and Matovina the other 2. ​Opatija managed to keep 3 points at home this weekend due to a late goal by Dario Mance. Also saw goals from Šolić and Lazić. Opatija won this difficult game in the end to bring home 3 points. Goals by Dadić and Bjelanović kept the game alive and finally the game was finished off by late goals from Pejanović and Lazić. Opatija draw in a game with not many chances . The point was secured by goal of Bjelanović in 77'. Opatija took 3 points in a game with many goals and not many spectators . The game was secured by hattrick of Matovina, a brace of Lazić and a goal of Pejanović. Opatija brought home one point this weekend. Goals by Matovina and Lazić were enough to equalize the game and bring home a point from Krk. Opatija lost the game from penalty kick offended by Kurelić at the end of first half. Host team didn't make enough effort to equalize the game. Opatija lost the game away this past weekend. There were not many chances on both sides but the home team took theirs and managed to keep three points. Opatija lost at home to a better away team, despite a goal each from Pejanović and Mance. Opatija won the game away this weekend to secure three points. It was a game full of goals, scored by Petrović, a brace from Šolić, Toni Rudan and Pejanović. Opatija kept a point in a derby game past weekend. Despite it being a dynamic game, both teams manage just one chance each and unfortunately that fail to bring victory to either team. Opatija brought home one point this weekend. Away team managed to reverse the results at the late end of the game with a goal from Mance, and a minute to end goal from Marko Krešić to secure a valuable point. Opatija won three times in a row to 3rd place on the table this weekend. After a trailing first half, Opatija managed to reverse the results at the late end of the game with a goal from Matovina, and a last minute goal from Toni Rudan to secure the win. Opatija won again this weekend, collecting 3 points away. Šolić equalized at the end of the first half, and Bjelanović secured the win early into the second half. Opatija won the first game after the season break to secure 3 points at home. It was the brace by Bjelanović in 2 minutes that brought Opatija to a good start. Opatija lost the game at home despite efforts to push through in the game. Opatija lost the game away this weekend. Even after Šuker scored the first goal early in the game, it was not enough to hold against a strong host team. Opatija played a very good game to beat the visitors from the top of the table. Attractive goals are achieved by Lee in 8 'and by Josip Rudan 43'. Despite several opportunities on both sides of the score remained unchanged until the end of the match. Since the beginning of the match, Opatija gained control of the game and won deservedly goals from Teddy Mrsic in 32 'and Šolić in 90' brought three points for his team. Opatija lost the game away this past weekend despite a goal from Lee and Mršić. Opatija was left without a point after a last minute goal from the host team. Opatija lost the game at home to a strong guest team. Opatija did not create enough chances to try to win the game. Opatija brought home one point this weekend. Goals by Radomir, Šuker and Mršić were not enough to bring home 3 points as an equalizer from the opposite side came at the last 10 minutes of the game. Opatija won the game at home this weekend with Josip Rudan scoring a goal in the first minute of the game, putting pressure on the guests. Solić scored the winning goal in the second half of the game. Opatija won in an away game this weekend. Mršić put Opatija in the lead in the first half, and then scored another goal in the second half to equalize. Klapan finished the game with a third goal to Opatija. Opatija won at home to secure three points. Mršić equalized quickly into the game, with Klapan finishing the game with a last minute goal. Opatija suffered a defeat away this past weekend. Opatija kept a point this weekend after Šuker equalized in the second half. Home team did not do enough to turn the game around. Opatija lost the game away in the midweek. Away team held the lead from the first half, and even with a brace from Šuker and a goal from Radomir, Opatija could not turn the game around. Opatija lost the last game away to end the league on the 9th spot. Opatija kept a point at home this past weekend. Monjac led the game with an early goal. And Šolić scored a goal in the second half. Unfortunately, Opatija missed early chances to win the game, and carelessness led to a draw. Krk won the cup's trophey by penalthy shoot out when Krk's goalkeeper Berković saved shoots from Matovina, Rudan T. and Krešić. At regular time Matovina equalized with header shoot at 23th minute. Opatija lost the game away this weekend. Despite the number of chances made in the game, Opatija failed to convert them into goals. Opatija won the game at home with Captain Tony Rudan scoring a brace and a penalty goal from Brozović. Although Opatija had many chances, we did not manage to convert them into goals and hence, failed to bring home three points. This past weekend saw a much deserved victory to Opatija, who led the game in the first half with a goal from Šolić. The game was put to bed in the second half with a penalty goal from Brozović, which secured the three points at home. Opatija suffered an away defeat this past weekend. Despite a penalty goal by Brozović, Opatija was unable to turn the game around. Opatija deservedly achieved a victory in a row at home. Guests from Zagreb failed to stop the mood, Šolić who led the game and capped an attractive goal after 43 minutes. The victory was sealed with Alen Matovina scoring two penalty goals. Opatija won at home with Rukavina scoring in the second half of the game to secure three points. Opatija suffered a defeat away from home this weekend. Even a goal from Matovina could not turn the game around. Opatija won the game just before the Easter weekend to secure three points at home. It was decided 20 minutes into the game, when Monjac and captain Tony Rudan scored a piece each. Opatija lost in the away game this weekend, with Matovina scoring the only goal late in the second half. Opatija U 9 team won the traditional Liburnia Championship, which was held in Kastav. PLayer of the tournament was Jakov Bilajac from Opatija. Special compliments to the coach Brajković and the boys for their performance and behavior. Za Opatiju BORI SE !! ​Opatija suffered a defeat at home, with the away team being more dominant and mistakes that caused the home team three points. Opatija fell behind Zagorec in the first half, but with persistent effort in the second half, Matovina equalized for Opatija, followed by goals by Josip Rudan and Brozović to secure three points at home for the first game after the season break. Opatija lost the last game at home before the season break. Opatija achieved victory in an away game against Vrbonec this weekend, with Lazić scoring the first goal early into the game. Dunković scored the second goal in the second half, and Vlatković finished the game with a goal at the last minute. Opatija won the game at home with a goal from Dadić and a late goal from Matovina. Opatija lost the game away, despite being the better team this weekend. A late goal by Matovina was not enough to save the game. Opatija won three points at home, with Šuker scoring a goal at the final minute of the game. Despite losing the game to HNK Rijeka, Opatija is proud to have put on a tough fight, especially in the first half, where Opatija was dominant and created a couple of good chances. In the second half, Opatija´s lack of experience in such big and significant games became apparent and finally lost steam to a revived Rijeka team, who played to a level of high competativeness. It was a truly enjoyable game both for the spectators and for Opatija players to have played against such worthy opponents. NK OPATIJA is proud to have organised and presented the game in an efficient and safe manner. We thank everyone who has participated in the event for the support and help, and hope to have the chance to host another big game as such in the near future. Opatija put up a tough fight in this away game and dominated the first half. And despite giving away a penalty, Opatija managed to keep a point this round. Opatija managed to keep a point at home with a late goal from Brozović. Opatija lost the game away in a rainy struggle with Dadić scoring the only goal near to the end. Opatija once again achieved victory in the away game against Hašk. Matovina scored the first goal 12 mins into the game, and Krešić added the second goal to the game in the second half. Opatija once again achieved victory at home with the only scorer in the game, Bernard Šuker who struck the winning goal in the final 2 minutes of the game. OPATIJA defeated ZELINA in the 1/16 round of the CROATIAN CUP!!!! Opatija achieved a strong victory with Kolić scoring the opening goal, followed by a goal from Toni Rudan to lead in the first half. In the second half, Dunković scored a third goal for Opatija and finally Vlatković scored the fourth goal to seal the game at the last few minutes. OPATIJA IS NOW ON THE WAY TO ROUND 1/8 OF THE CROATIAN CUP!!! Opatija won the three points away in a dominating play against Špansko this weekend. Despite being 2 goals down, Opatija fought on to a first goal by Dunković, and then an equalizer goal by Rukavina, and finally a goal by Captain Toni Rudan to seal the game with a third and final goal. Opatija remains undefeated at home ground, with Brozović scoring an equalizer goal from the penalty spot, late into the game to secure a draw. 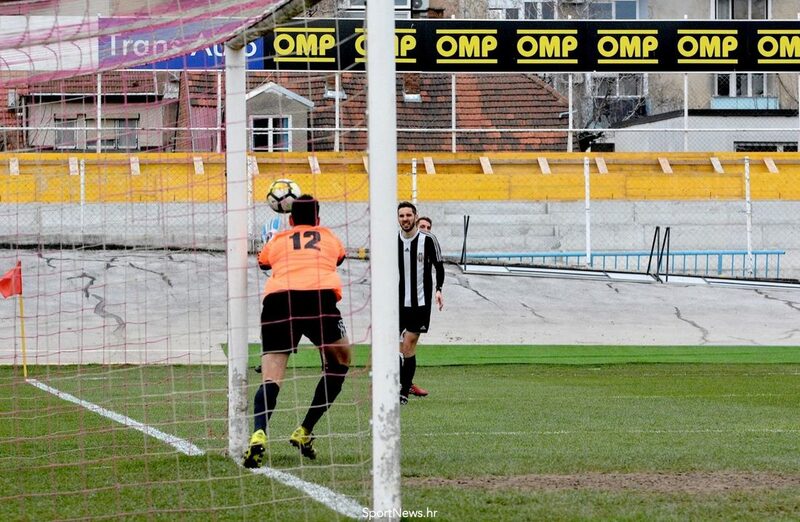 Opatija lost the second away game, even though Kolić scored the leading goal in the first half, Vinogradar managed to equalize and in the second half, won the game. Opatija won the first home game with a penalty goal by Brozović in the second half of the game. Opatija lost the first game away, even though there were many chances to score in the second half, and Opatija was dominating the game. OPATIJA defeated POLET in the qualifying round of the CROATIAN CUP!!!! Opatija achieved a strong victory with the scorers Vlatković and Matovina both scoring a brace each, and Rukavina to seal the game at the final minute of the game. <Opatija - Polet> CROATIAN CUP LIVE!!!!! Nk Opatija is deeply saddened to have lost one of the best footballers that trained in Opatija, at 5 am this morning due to a tragic traffic accident. He had began his football career at the age of 10 in NK Opatija Academy and graduated to play in HNK Rijeka, and the National Team of Croatia. He also played for Arsenal Kyiv, Pomorac, Bela Krajina (Slovenia), Flamiurtari (Albania), HK (Iceland), Kastoria (Greece). He returned to NK OPATIJA in 2009, where he ended his football career as a footballer after a few seasons, to the beginning of his football coaching career. Opatija won the last game of the season with 5 goals from Hasičić and Krešić in the first half, followed by a brace from Vlatković and final goal from captain, Tony Rudan in the second half. Although Krk won the overall Championship, Opatija finished the season with a bang. Thank you Opatija fans for all the support for the season 2014/15! NK Opatija looks forward to a fresh start and newer heights in the following season! Josip Rudan scored the only goal in the game to earn Opatija 3 points, which makes Opatija still a threat to Krk in winning the Championship Cup. We are the Cup Champions of NS PGŽ !!! Opatija defended the title of winner of the County Cup! The scorer of the only goal in the 32nd minute was Antonio Rukavina, who took advantage of a moment of defense slip by Grobničan. In the second half, Opatija accelerated the flow of ball and took control of the game. Although neither team was created a distinct opportunity, Opatija looked a lot more concrete. The game ended 1:0 and Opatija is once again the CHAMPIONS of the Cup!! For more pictures, check out the Gallery page! Opatija won at home wtih a penalty goal from Captain Toni Rudan in the second half, followed by a second goal by Erceg. Opatija will travel to Viškovo to meet with Grobničan, last year opponent in the finals, where Opatija will once again try to win the cup! Opatija brought home 3 points in the away game against Crikvenica to climb up to second spot on the table. Vlatković scored a goal late in the game and Rudan sealed the game with a second goal to Opatija in extra time. Opatija won at home with Dunković scoring a spot kick in the first half and Rukavina sealed the game with a goal in the seocnd half. Opatija led the game with Dunković scoring a goal in the first and second half. However, Lošinj turned the table and won the game late in the game. - NK OPATIJA has elected the youngest President in its long history, Robert Perčić. Despite many chances from Opatija, the home game against Grobničan ended in a goalless draw. Opatija won at home to secure 3 points. Opatija continued strongly in the second half when Kolić scored the first goal followed by Dunković who scored a penalty score to seal the game. Opatija lost three points away to Jadran Poreč over the Easter weekend. Opatija once again won at home, with Dunković scoring a spot kick in the first half and a winning goal in the second half. Opatija brought home 3 points in the away game to Naprijed Hreljin! Toni Rudan scored the decisive goal in the 75th minute. Home win! Dunković scored a brace in the second half to earn Opatija 3 points at home against the visitors Vinodol. Opatija once again brought home 1 point from Rovinj, in a hard fought draw, with Dunković scoring the equalizer in the second half. First game after the break was a draw at home. After a mistake that led to an early lead by Krk, Kolić equalized before half time, which went on to become the final score after a second half of missed chances. Opatija gave away 3 points at home to Halubjan, going into season break. Opatija went to Pazinka and brought home 3 points, with a brace from Šuker and a goal from Rukavina in the second half! Opatija went away to Mladost and again bring home 1 point. Opatija kept 1 point at home against Crikvenica, after the big game on Wednesday. Striker Dunković took Opatija to a lead in the first half. Unfortunately, the guests equalized in the second half to bring about a draw in final time. Opatija led in the first half, with Dunković scoring a penalty in the 26th minute! Opatija unfortunately gave away a penalty in the 90th minute and eventually lost in extra time of the match, even though Šuker pulled back a goal in the 29th minute of extra play. Opatija suffered the loss with immense pride, as our boys were in no way inferior to and has fought strongly against Dinamo. Opatija is proud to have organised and presented the game in an efficient and safe manner, with all of our guests and spectators left wth a good day of entertaining football. We thank our main sponsor Liburnija Parking, City Opatija for the support and help and everyone who has participated in the event and hope to have the chance to host a big game as such in the near future! - Zdravko Simić and Dalibor Zobić celebrated their retirement as players just before the game against Dinamo! Both remain active and significant members of NK Opatija. Opatija lost 3 points in an away game to Nehaj with Šuker getting a last minute goal at extra time. - <CUP> OPATIJA - DINAMO ZAGREB!!! Opatija is once again undefeated at home, with yet another win against Lošinj! Goals from Vrdoljak and Dunković in the first half are enough to secure the win through a goal-less second half. Opatija gave away 3 points to Grobničan with Matovina scoring a goal in the second half. our young talent Vrdoljak scored his first goal of the season as a regular in the first team, while Radomir sealed the game with a hattrick in the second half! Opatija remains undefeated at home with another win with a goal from Radomir and a brace from Matovina in the second half. - Check out the game highlights on video of Opatija´s historical victory against Zagreb!! After a historical win against Zagreb, Opatija travelled to Buje and brought back a draw with a goal from Radomir at 60th minute. - LAUNCH of NK OPATIJA Jerseys!!! Opatija made history to eliminate Zagreb in Round One of Croatian Cup! Opatija put up a tough fight with 3 goals in the second half, with Rudan leading the first goal and Matovina scoring a brace. Zagreb managed to equalize and the game ended 3-3 in the first 90+4 minutes. Extra time of 30 minutes saw no change in the scoreline, and the game ultimately ended with penalty shootout! For more pictures, go to the Gallery page. Big victory for Opatija at home today! Strikers are 1:0 Dunković (21'-11m), 2:0 Mance (59'), 3:0 Matovina (73'), 4:0 Rudan (78'), 5:0 Radomir (87'). Opatija gave away 3 points in a surprised defeat to Vinodol, with Brozović scoring a goal in the second half. Second game of the season saw Opatija taking 3 points at home, with Matovina scoring 2 goals in the first and second half! In the opening game, Opatija suffered an away defeat to Krk. Scorer was Radomir at the 90th minute. OPATIJA in 1st Round of CROATIAN CUP!!!! 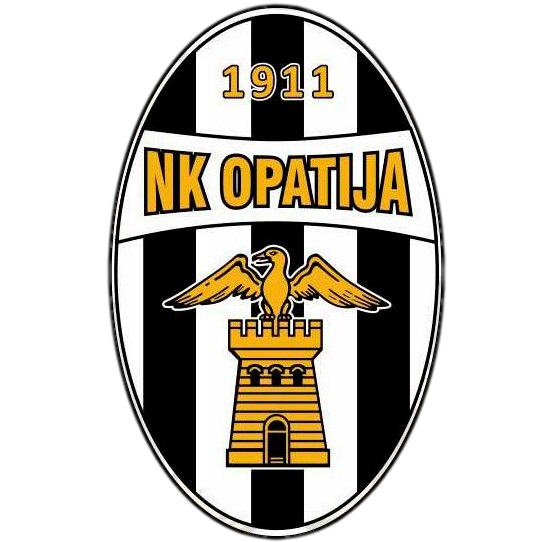 - In the qualifying round of the Croatian Cup, NK Opatija hosts NK Borac from Koprivnica County, on Wednesday, 27/08/2014. at 16.00 ! !